Where is the year going? With Valentine's day done and dusted. Mother's Day is now only a couple of weeks away on Sunday, 6th March! More Than Words has some perfect gifts for Mums, Nans, Grandmas, Aunts...that special family matriarch who deserves to be celebrated. Shhhh...we know it's still early but there's nothing like planning early for the perfect Christmas gift. More Than Words has a range of gifts to suit everyone, from just £10. We're back! Much to our chagrin it has been more than a few months since we last issued a newsletter but we've been busy behind the scenes with new designs and merchandise so please pop over to the website and have a browse. As the year progresses, we will tailor our newsletters to the seasons and events so, without wishing our lives away, keep an eye out for keepsakes and presents. Whilst wanting to keep you informed, we understand how busy lives are so we will keep future newsletters succinct and relevant. Don't forget More Than Words is also active on social media so please follow and like us on FaceBook, Twitter and Pinterest. 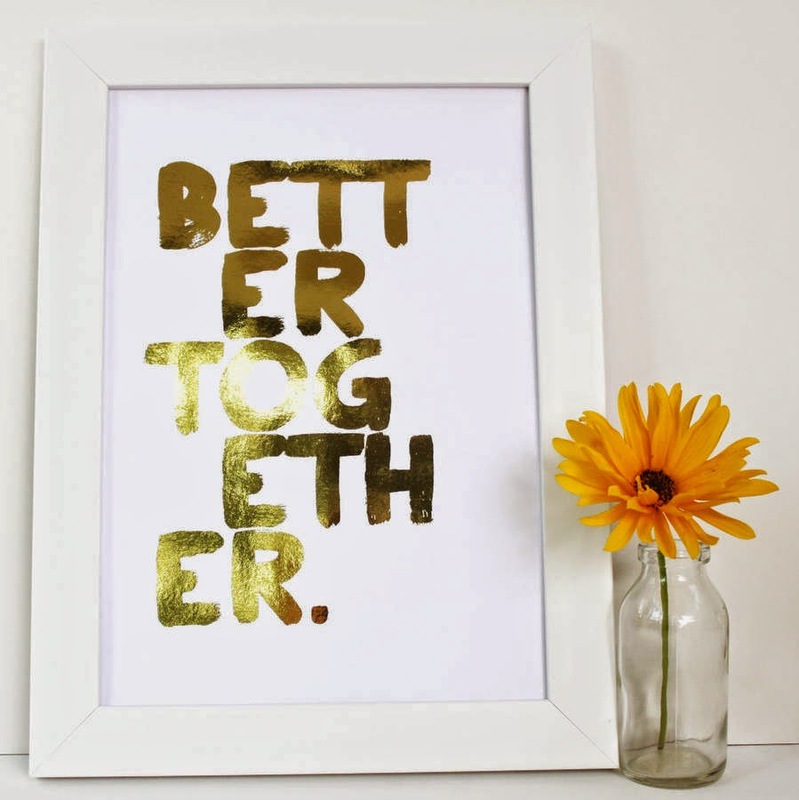 From £22, launching the new original metallic gold and silver prints designed and printed by Lisa Long for More Than Words. Metallic gold type, hand printed onto A4 heavy-weight card. A perfect Valentine's, wedding, or anniversary gift. Available framed or unframed. Click here to buy. Take a peak at some of our favourite personalised cushions by More Than Words. Perfect for those early Christmas gift shoppers... all from just £28. Duck feather filled £32. Launching the new A5 heavy weight fine art greetings cards by More Than Words, based on our best selling 'Rules to..' screen prints. Perfect for that special occasion or someone! Launching the new personalised 'End of Term Teacher Gifts' by More Than Words. Just in time for the end of the school term. Personalised Teacher Classroom Rules A perfect personalised gift for a special teacher to celebrate the end of term, or just to say thank you for being so great! Personalised 'Teacher Classroom Rules' Large Tote Bag - over-sized high quality bag £29 with free delivery. Personalised 'Class Of 2014' Teacher Print from £25. ...personalised with the children's names. Personalised 'Teacher Apple' Class Names Print from £25. ...personalised with the children's names. Please allow two weeks for delivery. Click here for more details. Lorraine's Good Morning Britain Word Art! So who spotted a nice big piece of bespoke typographic wall art capturing all of TV presenter Lorraine's memories on her new look set this morning?? Eek! Our commission looks great! Capture your unique memories as a piece of fine art by More Than Words. You can order yours here from just £28. Launching the new personalised 'Grow Old With Me' print by More Than Words. Just in time for Valentine's day! 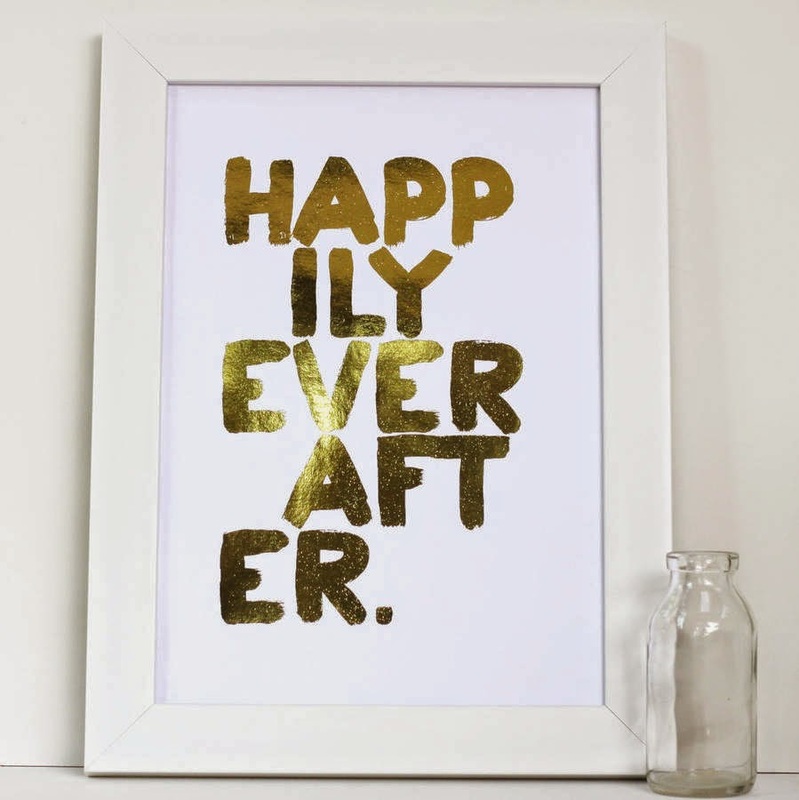 To celebrate its launch we are offering one lucky person the chance to WIN an A3 print for their better half. All you need to do is LIKE and SHARE the giveaway post on our Facebook page with your friends. Prices start at £45. Good luck! 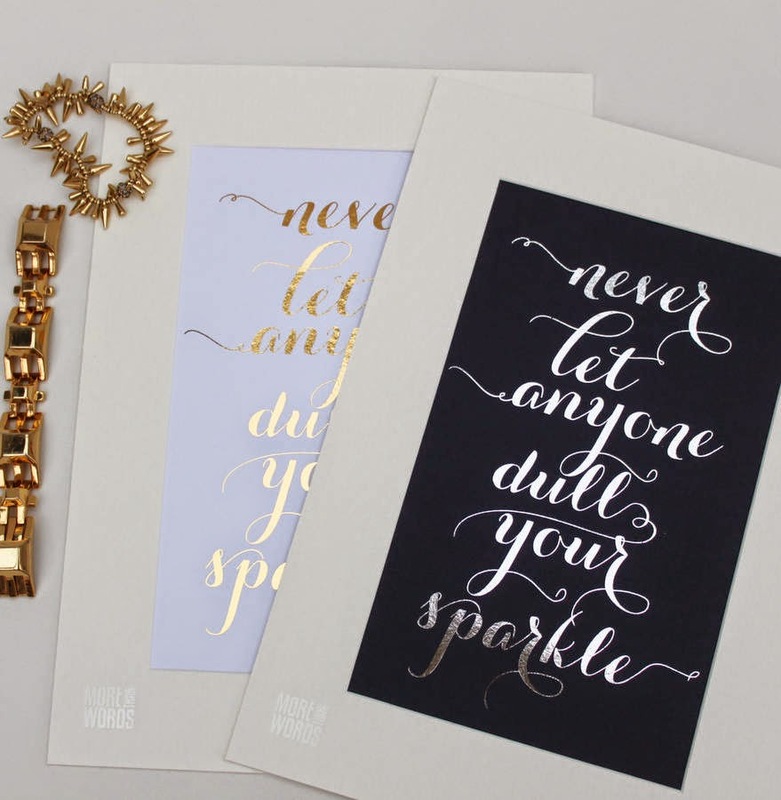 More Than Words Christmas Canvas Giveaway! Launching our whopping Christmas giveaway! All you need to do to win this amazing fine art quality 800 x 535mm bespoke canvas is 'like' More Than Words on facebook and 'share' the post. A winner will be selected at random and announced on 1st December. Launching the new 'Rules To Grow By' Giclée print by More Than Words. A perfect piece of artwork for all children. Ideal for a child's bedroom or playroom and a great keepsake gift for babies. From 'Never let go of the magic of Christmas', to 'Dream Big,' 'Believe In Yourself', and 'Keep Your Promises'... this is every parent's manifesto to their little ones. Available framed in black, natural, dark brown and white, or unframed. Printed onto professional matte litho 270 gsm paper. 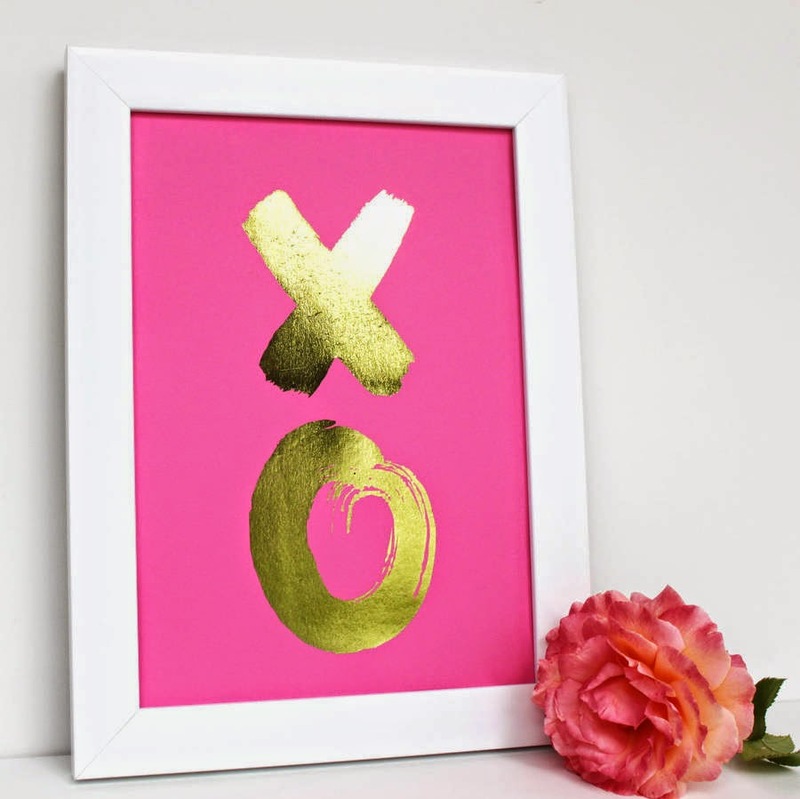 Unframed prints are sent out to you via courier, flat with a supporting backboard. From just £28 (40 x 50cm unframed print). More Than Words decorates JOY Leeds. After being approached at our recent trade exhibition to help decorate some walls....I think More Than Words artwork is looking pretty cool on display at the new JOY store in Leeds!! The 'for fox sake', 'oh cluck' and 'ampersand' prints are also available for purchase in the store! Launching our new 'Superdad' 100% cotton tea towel in time for Father's Day (16th June). This unique design, based on our personalised fine art prints, has been screen printed onto 100% cotton, machine washable, premium tea towels. Manufactured in the UK. 51cm x 78cm hemmed 2 sides. FREE DELIVERY (last order date for Father's Day is 12th June). "You're the best because...you...taught me how to ride my bike, are my hero, help me climb trees, are the BBQ king, keep my secrets, let me win sometimes, allow me to stay up late, watch movies with me, make up funny stories, are my personal taxi service, buy me treats, can fix anything, teach me about life, tell rubbish jokes, make me laugh, are my biggest fan, help me build things, encourage me to do my best." Way back in January I was approached with a very clever concept that I hadn't seen before, and right away I was desperate to bring this to our More Than Words customers...introducing Word Waves! Our clever designer Matt, otherwise known as 'M@', creates these unique pieces of artwork using your own personal voice waves. This design from More Than Words allows you to capture voice details forever...from a baby's first words to a romantic proposal. A striking keepsake. I had a go with my own children's voices in the print above...an early Father's Day present! Every voice is unique so all designs will be one of a kind. You have the option to have a message across the bottom, or to leave this blank. A private You Tube link (provide via a QR code) to the sound wave will be sent out on a scannable QR tag with the order so that your recipient can also hear the message. Here's an example of the (very cool) You Tube file that will be sent to you to forward to the recipient. HOW DOES IT WORK? Once you have placed your order we will be in touch with very instructions about how to send us your recording. Almost all phones now come with a voice recorder, or you can also do this through your computer. Record your voice(s) > email or upload it > leave the rest to us! Prices start from £55 here. Also available printed directly onto our reclaimed slate tiles from £110 here. To celebrate the launch of our new 'Clever Letters' artwork range, More Than Words will be giving away one unframed A3 fine art print of one letter of your choice. Worth over £60! In collaboration with talented illustrator, Gemma Davies, More Than Words is the exclusive stockist of these very clever little designs. TO WIN - simply list all of the 'clever' things you can see in the initial 'J' below. Entries will be taken on our facebook page and below this blog post, and a winner will be selected at random on Wednesday 24th April and announced on facebook. Each letter is individually illustrated by our talented bespoke artist Gemma Davies, who has been specialising in name illustration for almost 20 years. Her bespoke paintings have commemorated every conceivable life event from birth, christenings, big birthdays, weddings, important anniversaries and beyond. The Clever Letter alphabet is so called because of its ultra-alliterative twist. Gemma has designed each letter to be beautiful, engaging and full of phonetic fun. Every name becomes a complete picture book of images which will mean more and more to the growing child as they begin their literacy journey. Designs available from £60. Click here for more details.